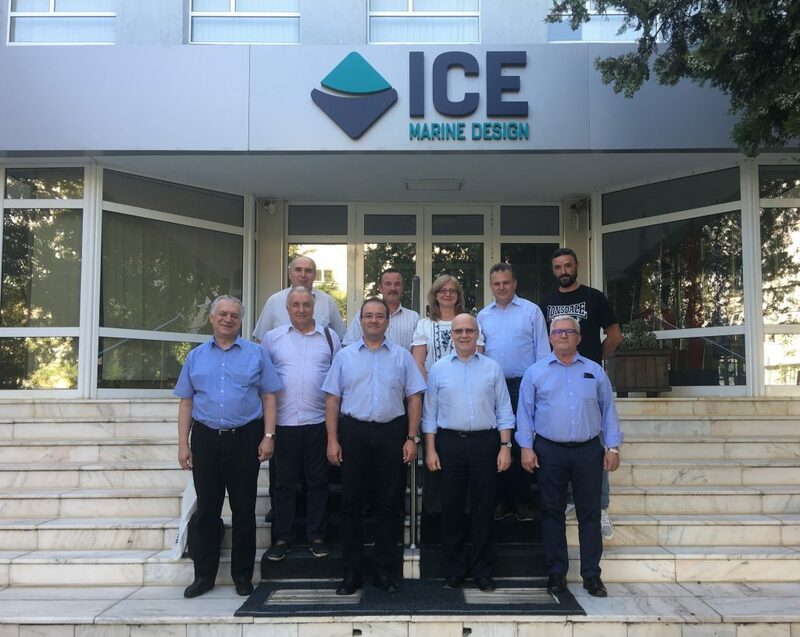 Constanta Shipyard (SNC) – a leading Romanian shipyard – has awarded ICE an important contract for design services for a 41,000 dwt Product/Chemical Tanker of IMO Type 2. Scope of work includes development of an AVEVA Marine 3-D model for the engine room of the ship, detail design drawings and development of production information. The design is developed in accordance with RINA Classification Society and Liberian flag rules and meets all current and upcoming regulations for emission control and fuel efficiency. For the last number of years, ICE’s Romanian subsidiary has predominately been working on international projects, either as a subcontractor for its Isle of Man sister company or directly for foreign customers. The award of the new contract with SNC shows that ICE can still be competitive in the highly cost-sensitive Romanian market. Pictured here is the SNC project team visiting ICE in Galati, Romania for the project kick-off meeting.